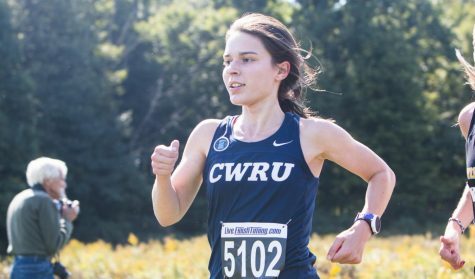 Athlete Spotlight is a new weekly feature where The Observer learns more about Case Western Reserve University’s athletes. Fourth-year runner Aidan DeSanto, is a key member of the men’s cross country team. Just this year, he has already been the Spartans’ top finisher in two meets, second finisher in two and third in another. 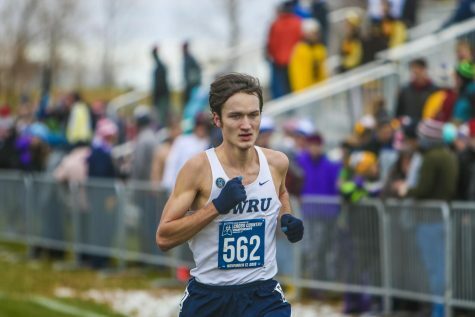 He has also competed at the University Athletic Association (UAA) Championships and received UAA All-Academic Honors for maintaining a GPA equal to or greater than 3.30 while also being a student-athlete. As a biomedical engineering major and biotechnology researcher, running gives DeSanto the opportunity to relax from these notorious rigors. Not only does DeSanto run, he is also heavily involved in a NASA-funded research project for the Department of Biomedical Engineering in which he is developing a synthetic ligament using collagen fibers. The goal of this research is to mimic bone-to-bone ligament function. He began the work in January 2017 and wrote the grant proposal that allowed the project to come to fruition. DeSanto is an extremely calm and collected person, but he is constantly busy between classes, research and cross country. He explained that although he is busy, he enjoys making the best use of his time. As far as he is concerned, unused time is wasted time. DeSanto then explained that he keeps his calm and low-stress attitude by running. Running can be a major source of stress for many people, but DeSanto finds it relaxing. “It’s good just to forget about everything else that’s going on for a little bit,” he said. Everything in his life that’s going on, no matter how big a problem it is, is irrelevant during his runs; the only thing on his mind is putting one foot in front of the other. 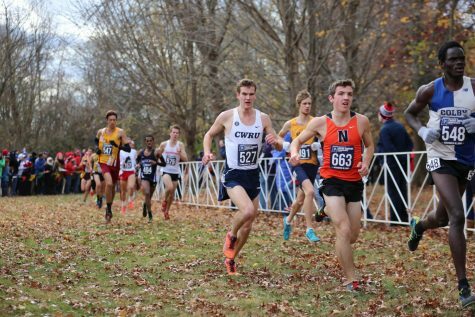 DeSanto’s passion for running was further exemplified when he said that he would run even if he was not on the cross country team. For him, running miles on end is fun and relaxing. His healthy lifestyle leads to a healthy mind, allowing him to tackle anything thrown his way. However, DeSanto still loves to run on the cross country team. It gives him the opportunity to compete, but also the opportunity to create many strong friendships when he spends hours each week “pounding pavement” with his teammates. DeSanto’s cool and calm demeanor is what makes him a truly special member of the CWRU community. Where many of us may become worried with everything going on in our lives, DeSanto demonstrates a state of mind that we can all strive for.